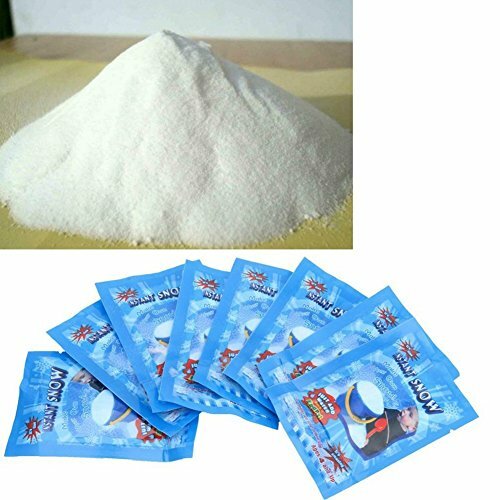 ❤ 1 Pack need add about 200-240ml Water and the magic snow power is free to expand(Powder Water Subscription Ratio: 1:25-30 / kg).You even can add some pigment on Water ,then you will get colorful snow. ❤ Last outdoor in the sunlight for 1 to 3 days,in indoors for 10 to 15 days.If it dries out a little, just spay water on it to re-hydrate. ❤ Apply to Christmas trees,wreaths,pine cones,grasses in the garden,game centre of kids and display cabinets.This artificial snow can be used year-round for snow play, holiday displays, special events, party favors, floral arrangements and more. ❤ Children should play it accompanied by parents,in case of swallowing and dust into eyes.Better placed on grasses and trees outside and powder granules should be vacuumed up. If you have any questions about this product by Wivilly, contact us by completing and submitting the form below. If you are looking for a specif part number, please include it with your message.